(2017). Investigation of organic additives on voltage rate in Aluminum hard-anodizing process. International Journal of Bio-Inorganic Hybrid Nanomaterials, 6(2), 59-63.
. "Investigation of organic additives on voltage rate in Aluminum hard-anodizing process". International Journal of Bio-Inorganic Hybrid Nanomaterials, 6, 2, 2017, 59-63. (2017). 'Investigation of organic additives on voltage rate in Aluminum hard-anodizing process', International Journal of Bio-Inorganic Hybrid Nanomaterials, 6(2), pp. 59-63. Investigation of organic additives on voltage rate in Aluminum hard-anodizing process. 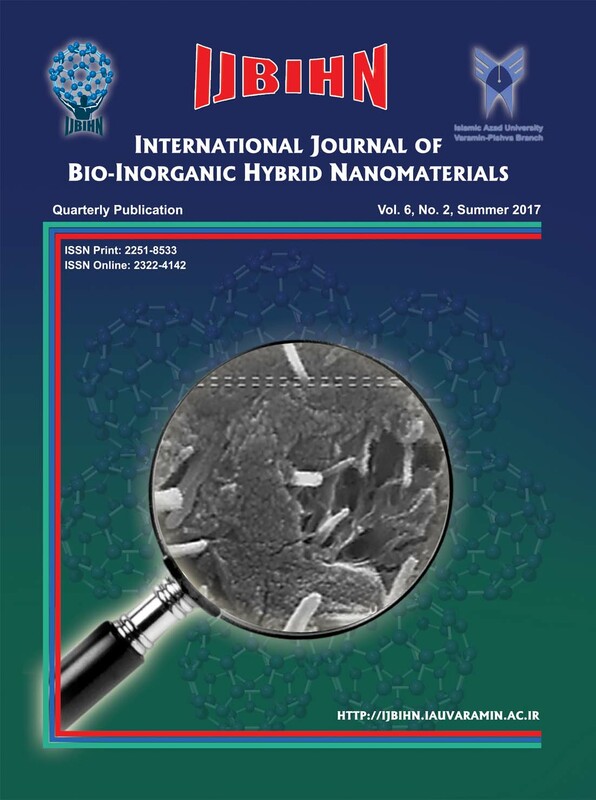 International Journal of Bio-Inorganic Hybrid Nanomaterials, 2017; 6(2): 59-63. Hard anodizing is a term that relates to the anodic coatings with high hardness and abrasion resistance. As has been pointed out in an article by researchers, these coatings are usually thicker than typical anodizing coating causes and in special circumstances to arise. The concentration of the oxide film layer in this process and therefore increases further. We also in the process electrolyte temperature are always kept low to reduce the rate of dissolution of the oxide film. In this project DC mode of Anodization used to study of voltage changes in different electrolyte consist of five types of organic additive.